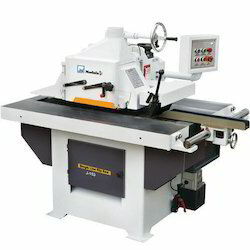 We are a leading Manufacturer of straight line rip saws from Ahmedabad, India. We are leading manufacturer of Straight Line Rip Saws. It is manufactured using top quality materials and latest technology and tested under various quality parameters.